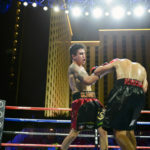 LAS VEGAS, June 16, 2015 – BKB, known for its action-packed, close-range style of boxing, added additional fights to the card for the third event with son of Hall-of-Fame boxer “Sugar” Shane Mosley, Shane Mosley Jr., making his BKB debut in “The Pit” against Boston’s own Jason Kelly. BKB3 is being held at Mandalay Bay Event Center on June 27 at 10 p.m. ET and will be available on Pay-Per-View from DIRECTV and DISH, as well as cable and telco providers through IN DEMAND and Vubiquity for $29.95. 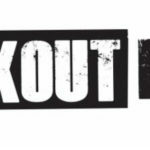 BKB3’s main event features the inaugural Heavyweight Championship fight between BKB veteran Julian Pollard and former K1 Heavyweight Tyrone Spong. 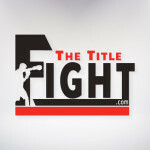 A $30,000 bonus will be awarded to the fighter if he knocks out his opponent. Tickets for BKB3 are available and can be purchased at the Mandalay Bay Events Center Box office or ticketmaster.com. 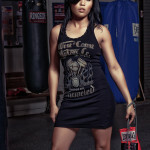 For more information on BKB or how to catch all the hard-hitting knockouts, please visit BKB.TV. 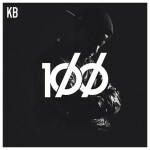 To join the conversation and get updates use #BKB and follow BKB on Twitter, Facebook and Instagram. 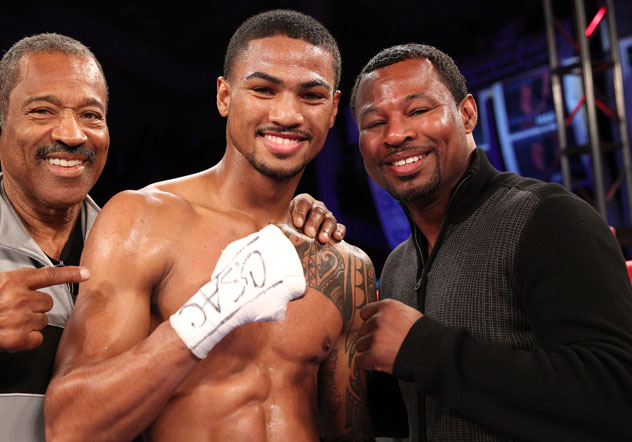 Filed Under: Boxing News Tagged With: BKB, Accutane before and after, Buy cheapest lasix, Shane Mosley, Shane Mosley Jr. 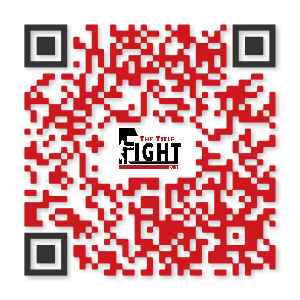 The life of a prize fighter has many up’s and downs. There is the thrill of victory, the agony of defeat, as well as the chance that they may not come out of the ring the same as they came in. One fighter who can say they have experienced all of these was former Jr. Lightweight and Lightweight champion Jesus “El Matador” Chavez. Chavez was an all action, come forward, aggressive fighter who most of the time was never in a bad fight as he mixed it up with some of the best in his division during the late 90’s and 2000’s. Chavez was born in Chihuahua, Mexico and was later raised in Chicago, IL. At age 16, Chavez decided to take part in an armed robbery and by doing so, he spent four years in prison and was deported back to Mexico. He would then come back to the United States illegally and resided in Austin, TX where he would begin his boxing career. Chavez turned pro in August of 1994 and would go 22-1 over the next four years and would claim the NABF Jr. Lightweight title in the process. 1997 would be a big year for Chavez as he began to get some national exposure. In August of 1997, He scored an impressive fifth round TKO over Wilfredo Negron on USA’s Tuesday Night Fights and he would follow it up three months later with another impressive TKO win over former world champion Troy Dorsey, on the Lennox Lewis vs Andrew Golota Pay Per View undercard. He was being handled by Main Events and the future couldn’t have looked more brighter; however he would suffer a huge setback. In late 1997, Chavez was once again deported back to Mexico and it would have a huge effect on his boxing career over the next three years. While living in Mexico, Chavez would continue to fight as he would go 10-0 from 1998-2000. 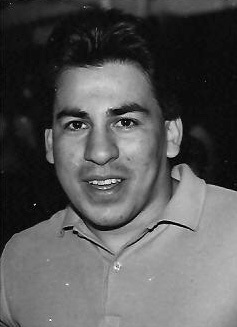 His story and popularity as a fighter encouraged many sports writers and politicians to lobby for Chavez to receive a Visa. One of those politiicans who backed Chavez was then Texas Govenor and future U.S. President George W. Bush. Finally after being away from the U.S. for three years, Chavez was granted a Visa to work and live in the United States. 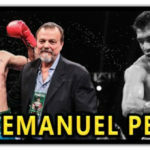 Upon his return to the U.S., he would go 3-0 and would earn a shot at a world title against super featherweight champion Floyd Mayweather. They met on 11/10/01 in San Francisco for the WBC super featherweight title. Chavez fought a spirited effort and took it to Mayweather for 9 rounds until his corner threw in the towel after the 9th. 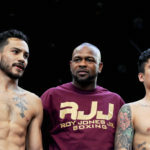 Despite the disappointing loss, Chavez continued to fight on and after winning his next four bouts, he was back in line for another title shot as he faced the very tough Sirimongkol Singwancha of Thailand. They met on 08/15/03 at the Convention Center in Austin, TX and it was for the WBC super featherweight title. Chavez didn’t disappoint his hometown fans as he won a convincing 12 round unanimous decision. He was now a world champion. 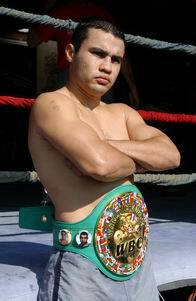 His reign however was a short one as he would lose his title six months later to Mexican legend Erik Morales. As he did against Mayweather, Chavez fought a spirited fight as he rocked Morales early and looked very close to taking him out. He also showed a lot of heart and guts in this fight as he was dropped twice in the second round and rose to his feet and fought hard. He also suffered both shoulder and knee injuries during the bout and fought most of the bout while injured. The injuries would sideline Chavez for 15 months and he returned to the ring on 05/28/05 as he fought an entertaining brawl with former champion Carlos Hernandez on the undercard of Julio Cesar Chavez’s farewell bout in Los Angeles, CA. This win would put Chavez back in line for another title shot against lightweight champion Leavander Johnson. They met on 09/17/05 at the MGM Grand Garden in Las Vegas for the IBF lightweight title. The bout was one of three bouts on a big HBO Pay Per View co headlined by Marco Antonio Barerra and Shane Mosley. Chavez came out throwing bombs from the opening bell. Johnson, who was a slick boxer puncher, wasn’t able to weather the onslaught brought by Chavez. 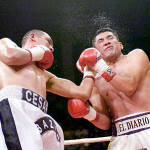 “El Matador” pummelled Johnson for 11 rounds before referee Tony Weeks stopped the bout. Many observers at ringside felt that the bout should have been stopped sooner. In either case, Jesus Chavez was once again a world champion, however there was very little to celebrate. After Leavander Johnson went back to his dressing room, he collapsed and was rushed to the hospital where he had emergency surgery for swelling and bleeding on the brain. After being placed in a coma, Johnson died 5 days later. When a fighter dies inside the ring, it can also leave a huge crushing burden on the other fighter and most times that fighter doesn’t recover mentally. Despite the tragedy, the family of Leavander Johnson encouraged Jesus Chavez to continue fighting. The tragedy would sideline Chavez for 17 months. He returned to the ring on 02/03/07 when he made his first defense of his title against Julio Diaz. Chavez would go down in the third round from the result of a knee injury and was counted out. He clearly was not the same fighter that he was before. It was pretty much the end of the road at the top for Jesus Chavez. He would go 2-4 from 2008-2010 as he became more of a gatekeeper in the lightweight division.